If you’re over the age of 50 and develop general achiness and stiffness that’s worse in the morning, you may figure it’s a natural part of aging. But don’t settle for the discomfort because it may be due to polymyalgia rheumatica. 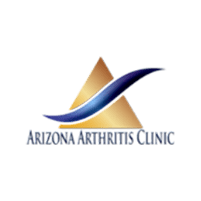 Amer Al-Khoudari, MD, FACR, at Arizona Arthritis Clinic, PLLC, has years of experience accurately identifying polymyalgia rheumatica and providing treatment that may dramatically relieve your symptoms. To schedule an appointment, call the office in Chandler, Arizona, or use the online booking feature. Polymyalgia rheumatica (PMR) is an inflammatory condition that causes widespread pain, achiness, and stiffness. Although the pain is often felt through your arms and legs, the source of the discomfort is often inflammation in the shoulder and hip joints. Scientists don’t know exactly what causes PMR, but they can tell you that it is not a side effect of medications, and even though it causes muscular pain, tests show that the muscles are normal. It rarely affects patients younger than the age of 50 and it often occurs together with another inflammatory condition called giant cell arteritis. Giant cell arteritis causes swelling and thickening of small arteries under your skin, leading to symptoms such as a persistent headache, jaw pain, blurry vision, or vision loss. What symptoms develop due to polymyalgia rheumatica? The discomfort caused by PMR is most notable for its rapid onset. Symptoms develop in a few days or weeks or, in some patients, overnight. The aching and stiffness occur on both sides of your body, typically in your upper arms, neck, shoulders, lower back, and thighs. You may also experience pain or stiffness in your hands, wrists, elbows, or knees. You’ll find that your achiness is worse when you get up in the morning, improves throughout the day, but then quickly returns if you sit in one position too long. Your stiffness may be severe enough to interfere with your sleep, make it hard to get dressed, or affect your ability to go from a sitting position to standing. Patients often say they just don’t feel great, even though they can’t identify a specific problem. In addition to performing joint and neurological exams, your doctor at Arizona Arthritis Clinic may order blood tests or imaging tests. The inflammation caused by PMR shows up on blood tests, while a diagnostic ultrasound or MRI can identify or rule out other possible causes for your pain, such as arthritis. The primary treatment for PMR is corticosteroids to reduce your inflammation and pain. For some patients, the response to corticosteroids is dramatic, with significant symptom improvement after one dose. Others find that it takes longer to get relief from their stiffness and achiness. When you develop body-wide aches and stiffness, call Arizona Arthritis Clinic or book an appointment online.